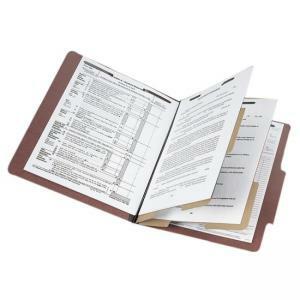 Durable Pressboard Classification Folders are ideal for keeping important documents in place. Each folder is made of 25 point recycled pressboard with expandable Tyvek color-matched gussets and has two expandable Tyvek gussets for durability. Made from 60 percent recycled content with 10 percent post-consumer material.